Tchaikovsky is nowadays one of the most beloved and famous composers of all time. His colorful music has enchanted listeners all over the world (including me!). His memorable melodies have ingrained themselves deep into popular culture. But his immense music talents had their source in an unhappy soul. 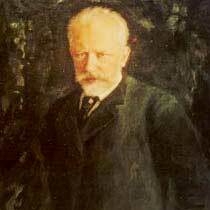 Tchaikovsky suffered from depression and neuroses his whole life, and was extremely sensitive to criticism. Whenever he had the slightest idea that someone didn't like him or his work, he got anxious and upset. He definitely had an emotionally troubled time, but I think this is what gives a lot of his music a profoundly personal feeling. He poured his unhappiness into writing passionate music. 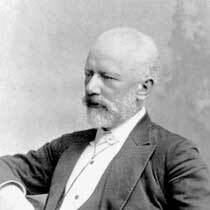 Peter Tchaikovsky was born in 1840. He started learning piano when he was 5 years old, and got good quickly. His parents supported his musical talent at first, but then sent him to be a civil servant (a bit silly, don't you think?!). His mother died when he was 14. This tragedy deeply affected the young composer for the rest of his life. His mother's death was the inspiration for his composing - he wrote his first piece (a waltz for piano) in her memory. He went on to study law and had a short career as a civil servant. But he hated it, so switched to studying at the St Petersburg Conservatory instead. After graduating, he became professor of music theory at the new Moscow Conservatory. He kept on composing during his professorship, and his reputation as a composer grew. Other Russian musicians and composers shunned Tchaikovsky for a long time at the start of his career. They considered him a bit of an untrustworthy renegade since his music had a very western sound, and was more personally emotional than usual. The Tsar noticed him eventually, gave him the Imperial stamp of approval and a lifetime pension, and suddenly Tchaikovsky was accepted in Russia. He became even more famous, and traveled to other countries in Europe and the United States to conduct his own music. But although he was hugely successful, he was still under the black cloud of depression. His sixth and last symphony (called the Pathétique) was premiered only ten days before the composer died (he died on November 6 1893). The audience was silent with amazement during the first performance. For a more in-depth biography of Peter Tchaikovsky, including a chronology, have a look at the Tchaikovsky biography page! Tchaikovsky's music is very characteristic! I'd have to say the most obvious elements are a high standard of orchestration and excellent melodies, which touch listeners' hearts and stick in their heads. Since the composer had quite a turbulent life, a lot of his music is also strongly emotional. For instance, the Tchaikovsky Symphony 4 has extremely dramatic music, which was directly inspired by his depression. Tchaikovksy wanted to express himself through his music. Because of this he had a reputation as a "weeping machine"! I think this is partly true, but the emotional weight of his music is also what makes it really rewarding to listen to. One thing Peter Tchaikovsky was good at was using Russian melodies and sounds, but presenting them in a sophisticated way that audiences from Western Europe appreciate without having to cover their ears. Before Pyotr Ilyich, Russian composers had a reputation of writing music that was a bit "raw" and inelegant, but Tchaikovsky changed that! 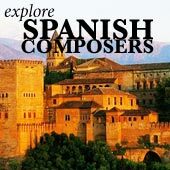 For a list of the composer's most well-known and popular pieces (plus my favorites, of course!) have a look at the Tchaikovksy music page. Peter Tchaikovsky's personally expressive music, with its memorable melodies and inventive orchestration, has captured the hearts of audiences all over the planet. I hope you love it as much as I do! Tchaikovsky Biography, a much more in-depth look at Tchaikovsky's life. A deeper look at Tchaikovksy's music and a list of his most famous pieces. The 1812 Overture, a massive festival piece with church bells, cannons, and a whole load of Russian spirit! The Nutcracker Ballet, Tchaikovsky's magical Christmas fairy-tale. Swan Lake ballet, a hugely popular legendary story. Sleeping Beauty ballet, the composer's favorite of his three ballets. 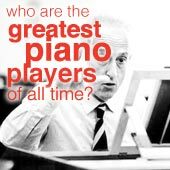 Tchaikovsky's Piano Concertos - which of the three is more difficult? And does this make them more enjoyable? Tchaikovsky's Violin Concerto, one of the best examples of the genre and great fun to listen to. 4th Symphony, which broke the mold and made listeners realize what a symphony could become. 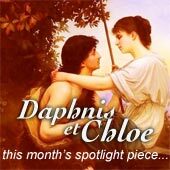 6th Symphony, the composer's last brooding masterwork, he almost foretells his own doom in this piece.